During the period August 2014 to November 2014 all shipping companies registered under the Hong Kong flag or Ship Management companies registered in Hong Kong we ask to send a survey out to their seafarers employed on their vessels. The survey sought to ascertain the level of value and welfare that companies provide to their seafarers. 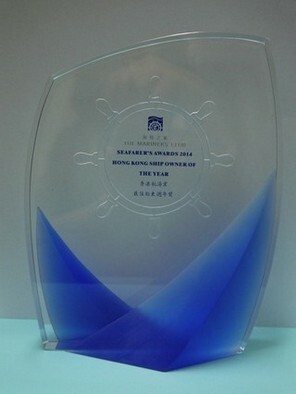 Doris Luk (China Navigation) receiving Hong Kong Ship Owner of the Year 2014 Award from Rev. Stephen Miller (Senior Chaplain) at The Annual Maritime Charity Dinner, Sheraton, Hong Kong. the Year 2014 Award from Rev. 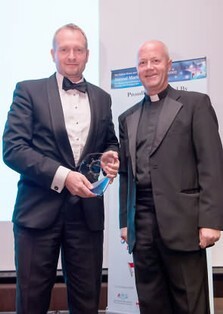 Stephen Miller (Senior Chaplain) at The Annual Maritime Charity Dinner, Sheraton, Hong Kong. We look forward to conducting the survey and Awards in 2015 and hope we will have a really good response as we did this year.